Optimised for both work and play, the Razer Atheris Wireless Ambidextrous Gaming Mouse is packed with extraordinary signal stability, dual-connectivity and over 300 hours of continuous use, all in a pocket-sized ergonomic body. 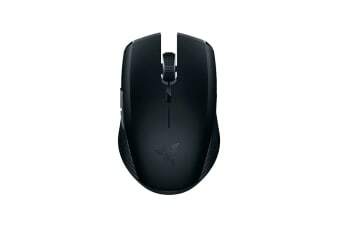 The Razer Atheris has a 7,200 DPI optical sensor. It gives you extreme accuracy and incredible control over spreadsheets or headshots. The extra resolution works perfectly for multiple monitors and even 4K screens and beyond. Featuring Razer’s wireless technology, the Razer Atheris provides you with industry-leading transmission stability. So whether you’re in a cafe or the office where multiple wireless devices may interfere with the frequency, your mouse maintains a solid connection. When you’re constantly travelling for work or busy with back-to-back meetings, you don’t want to worry about replacing batteries. 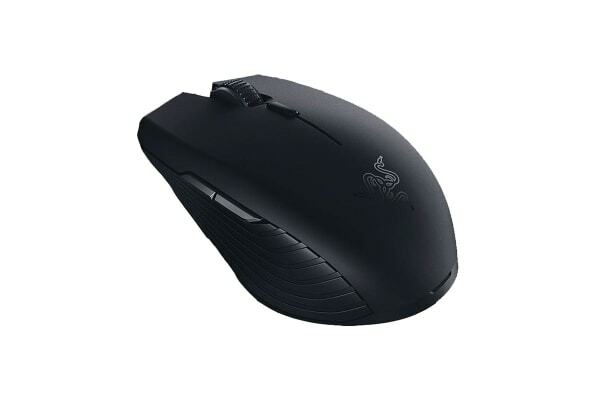 The Razer Atheris is engineered to give you over 300 hours of interruption-free use.